Boeing’s Kamara Sams, DTSC’s Norm Riley, and Boeing’s Tom Gallager pushed for a Boeing-funded astoturf CAG to replace the SSFL InterAgency Work Group. Boeing is no stranger to astroturfing. In September 2011, the San Antonio Current newspaper published a story which showed just how handsomely the practice can pay off. According to the paper, in 2007 a Boeing lobbyist offered the American GI Forum a possible “long-term relationship” which would include resources for its office and activities in exchange for the organization’s support for a multi-billion dollar tanker contract with the U.S. Air Force. Boeing was awarded the $35 billion Pentagon contract in February 2012. Residents of Hinkley California, site of a massive chromium-6 groundwater plume made famous by the film Erin Brockovich, have accused Pacific Gas & Electric of astroturfing through a Community Advisor Committee (CAC). Two years ago the CAC was created by PG&E, which caused the Cr-6 pollution in the first place. Now community members want PG&E out of the CAC because of its control of monthly meetings from determining the agenda to who can speak. Stifling dissent toward polluting practices can go beyond front groups and “third party” allies. 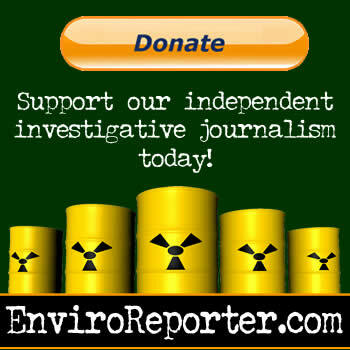 Last year, Marcellus Shale gas drilling spokesmen admitted to using military “psy-ops” or psychological operations to deal with Pennsylvania communities opposed to fracking, the controversial practice of using million of gallons of water infused with hundreds of chemicals, radionuclides, and fine sand to blast subsurface shale to extract natural gas. A local resident described the industry’s strategy as one that used misinformation, intimidation, “informational meetings” that omitted the negatives from shale gas development, and threats of lawsuits toward anyone who got in the way. Longtime activists dedicated to the cleanup of the Santa Susan Field Laboratory say these are precisely the tactics that have been employed against them, all aimed at further Boeing’s goal of not cleaning up the high contaminated site. They were regular folks leading regular lives in the bucolic hills that rise above Simi Valley. Centuries old valley oaks covered the rolling land. People had their own horses and water wells in this cozy neighborhood in the southeast corner of Simi Valley, the Santa Susana Knolls. People from ‘the Knolls,’ and across Simi Valley knew something was going on at the semi-secret site up Black Canyon Drive on top of the road. The roar of rockets lit up the mountains above the Knolls but folks stayed tight lipped. Some of their dads worked up on the hill at Rocketdyne. 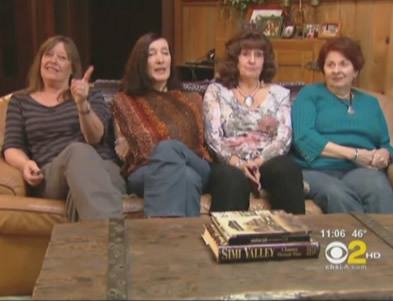 That all changed May 19, 1989 when a Los Angeles Daily News headline blared “Rockwell Site Contaminated.” Four neighbors, Holly Huff, Barbara Johnson, Dawn Kowalski and Marie Mason, couldn’t believe what they had read. The women weren’t even aware that Rocketdyne was doing nuclear work at the lab two miles uphill from their homes. Their phones began to ring off the hook with panicked neighbors. The Simi Valley moms soon met with a San Fernando homeowners association and environmental groups in Northridge, all of whom were determined to learn more. “We were now not alone but flanked by seasoned activists who could assist us on our mission,” the women wrote in their 2006 autobiographical story Loss of Innocence. The group founded Rocketdyne Cleanup Coalition (RCC) in June 1989 to fight the relicensing of nuclear work at the lab. The nuclear part of the Santa Susana Field Laboratory – Area IV – is spread out over 270 acres. The Department of Energy had ten experimental reactors and a plutonium fuel fabrication facility on 90 of them. RCC, along with key players and organizations, succeeded in getting the license denied. 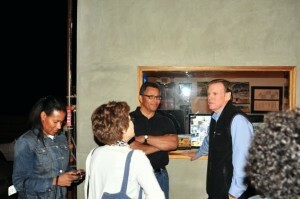 This was “the first community-based shutdown of a DOE nuclear facility in the country,” according to the RCC website. 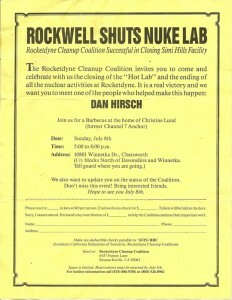 Dan Hirsch, president of the nuclear watchdog group Committee to Bridge the Gap and nuclear policy lecturer at the University of California, was key to RCC’s historic victory. Hirsch became aware of Rocketdyne in 1979 when two of his students at UCLA uncovered an obscure press release that hinted at a partial meltdown at the lab in 1959. 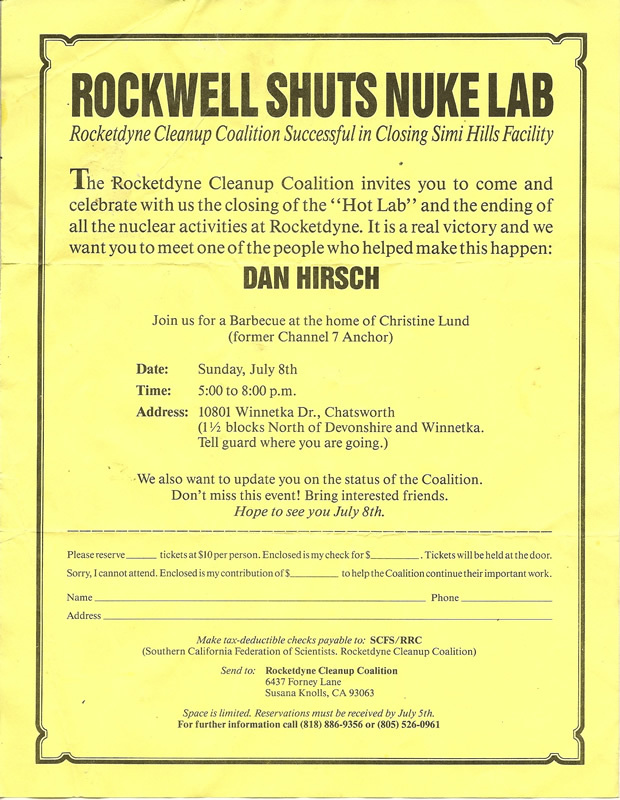 Hirsch also exposed a biomedical nuclear waste dump in Brentwood on Veterans Administration property that was later prevented from development, and he continues to work on highlighting dangers at the San Onofre Nuclear Generating Station. Such is Hirsch’s knowledge about nuclear issues that he has testified before the U.S. Senate about nuclear power using SSFL’s woeful safety record as a cautionary tale. However, since Hirsch’s work to protect public health usually involves thwarting the plans of large corporate and government entities, he has developed many powerful, well-resourced enemies along the way. “To his supporters, he is a reserved hero, fluent in the language of policy and science. To those he challenges, he seems more like a bombastic, exasperating thorn in the side,” stated a 2008 profile on Hirsch in the Ventura County Star. And, no where was this more evident than in the SSFL Inter-Agency Work Group meetings. The quarterly meetings were established in 1990 at the urging of Congressman Elton Gallegly to keep the community, legislators and media informed about SSFL. The Work Group panel was composed of government agencies, community representatives, and environmental advocacy groups including Hirsch’s CBG. Time and again, Hirsch would cut through cleanup-evading language and presentations of agencies and responsible parties – the polluters – calling them on their misinformation and sleights of hand. Such exchanges were crucial to the community’s understanding of the cleanup, as Hirsch was also able to break down complex technical information in a way that the public and media in attendance could comprehend. This made Hirsch, and the Work Group, a polluter’s nightmare. 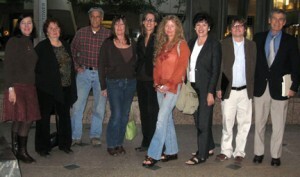 The Work Group meetings at the Simi Valley Cultural Center were regularly attended by local residents and the growing number of SSFL activists. Longtime activists were delighted to see new faces who could join in their seemingly never-ending struggle to clean up the site. The effort was made stronger and richer by people like Bonnie Klea, who used to work at SSFL and made it her life’s mission to aid former Department of Energy workers and subcontractors from Area IV who were made ill from working there. Together, the community worked with state legislators to achieve the passage of SB 990 in 2007, a law to cleanup SSFL to the highest standards. It was a crowning accomplishment that involved the efforts of activists old and new. For Boeing, that was the last straw. It had enough, and began working a plan to tear out the grassroots of the neighborhoods around SSFL and “astroturf” them with a cadre of people willing to do its bidding. This would also mean getting rid of the SSFL Interagency Work Group and replacing it with a community group more sympathetic to it’s cause. Does anyone recognize any of the names of the people chosen to be on the CAG selection committee? See http://groups.yahoo.com/group/ssflcag/message/2190 I don’t think any of these people have been involved before except Walsh and Karchem who is new but gives cleanup advocates a hard time. I googled them all and see no history with SSFL whatsoever. One of them signed the CAG petition but is described as neutral? And another specializes in archaeology concerned with “protecting cultural heritage” so clearly in favor of the pollution park people. Another the “occidental petroleum chair” in chemistry with bad reviews by students at ratemyprofessors.com who say he gets mad at those who disagree with him. Another represents Chumash who seem more interested in getting the property and than clean up. So this group of strangers never involved before will pick who will be on the CAG meaning more like themselves easily fooled by Boeing DTSC etc. Seems to be the perfect group of “third parties” that Gary Polakovic wants to help Boeing avoid charges of greenwashing as his plan says. What a sham!!! The Udall Institute should be ashamed too and also I wonder who the CAG will get to fund the “neutral facilitator? To me this confirms points made in this article that the whole idea of the CAG was to get rid of one community and replace it with another one that isn’t a community at all. Meanwhile children in the community are exposed to all of the poisons from the lab but don’t worry they will commission a blue ribbon study to say its all ok nothing to see here move along. Thank you for this excellent expose. I got a CAG application in the mail. No thanks I want no part in Boeing’s group. I support the old-timers – thank you for your dedication do not give up! It is worth it for the safety of our community. How do I feel about astroturfing and the mean-spirited nature of these nasty schemes? AAARRRRGGGGGHHHHHHH! Boeing and its co-conspirators have spent a lot of time planning how to undercut and destroy their critics and no time whatsoever on cleaning up the mess on their property. They prefer to save money and SUE the state. Someone cleaned up on that one. Wow, these Boeing guys are thorough. They’re getting good advice from their media and astroturf consultants, and they’re following it. Boeing’s going to assert over and over that they’re on the side of the angels, and casual observers will begin to believe them. This is depressing reading. Boeing is rich and persistent, and a number of folks in this story have clearly and simply been BOUGHT. Your incredible recording of all the events,emails, personalities, changes of alliances, and financial support by Boeing in this article make me feel like Alice, who fell down the rabbit hole into insanity. But then, poor Alice probably would have been wiped out by some Cesium 137 or some toxic chemicals. Thank goodness that you have been keeping track of all of this madness. This article has absolutely made my whole year! I didn’t realize how bad things have been until I read it. Please keep up your good work. I don’t see how things could possibly get any worse.